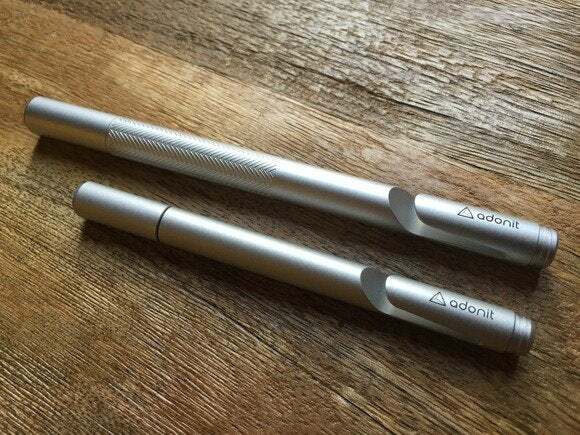 Since Adonit launched its first styluses in 2011, the company has expanded its lineup. In January, it refreshed the two styluses that started it all: The Jot Pro and Jot Mini. Priced at just $30 and $20 respectively, the styluses are the most affordable in the company’s lineup. The Pro and Mini will be very familiar to you if you’ve used Jot’s precision-disc styluses before. Both maintain a similar design as their predecessors while adding a new, improved carrying clip (previously only available on the Mini) that allows you to easily slip the stylus in a shirt or bag pocket. The Pro version also has an etched grip to help you hold on to it and an improved cushion tip for a quieter, more pen-like experience drawing and writing. Like their predecessors, each has a screw-on lid that protects the tip when not in use. 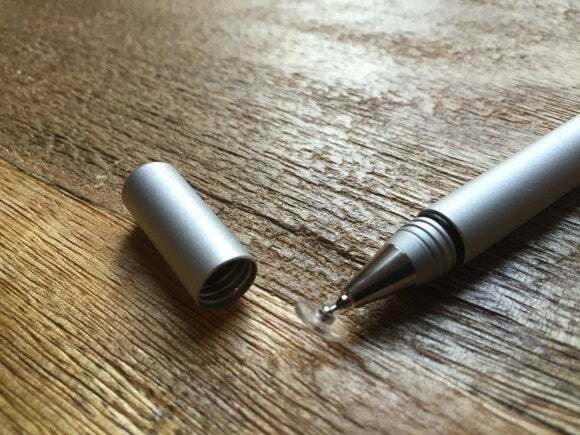 When you remove it, you can screw the lid onto the bottom of the device, in effect making the stylus longer and ensuring you don’t misplace the cap while you write. It’s a sleek, high-end look more reminiscent of a fancy pen than a stylus, and one that works really well. Both the Pro and Mini are made out of a lightweight aluminum that makes them exceptionally easy to hold, and the new dampening tip on the Pro gives it a natural feel while writing. Unlike other styluses, the clear precision tip on the Pro and Mini make it easy to see where the stylus is contacting with the screen. While not quite as pen-like as Adonit’s more expensive Jot Touch, I found writing and drawing with both to be precise and a pleasant experience. Both can be used on any touchscreen and don’t require power or Bluetooth connectivity to work. Both the Adonit Jot Pro and Jot Mini have a natural feel. With Adonit’s original precision-tip styluses, I ran into issues with the tip popping off, something that didn’t happen with the new models. However, I did have a minor tip-related issue when trying to draw. Each stylus is capable of functioning at an angle up to a 45-degrees—great for most writing, but when it comes to drawing I found myself often trying to hold the stylus at a smaller angle, which caused the disc to not make full contact with the screen. The tip hitting the display also makes a bit of a clicking noise and can get a bit annoying over time if you’re in a meeting or sharing a room with others. Another small issue with the Mini: I really enjoyed using the stylus on my smaller phone screen, but at about the size of a golf pencil, it’s a bit too small when it came to writing on my iPad. The smaller profile was difficult to hold for long periods of time and I found that my hand cramped up quite a bit. Something to keep in mind if you’re considering the smaller model for portability. If you plan on using the stylus with your iPhone, then the Mini could be the perfect size to tuck inside a BookBook or similar case and have on hand when you need it. The Jot Pro and Jot Mini have the same kind of tip, which works well with writing. The Jot Pro and Jot Mini styluses are an excellent value. They feel nice in the hand when writing and have high-end designs. The Mini may be too small for some, and you may have issues with the tip at some angles while drawing. 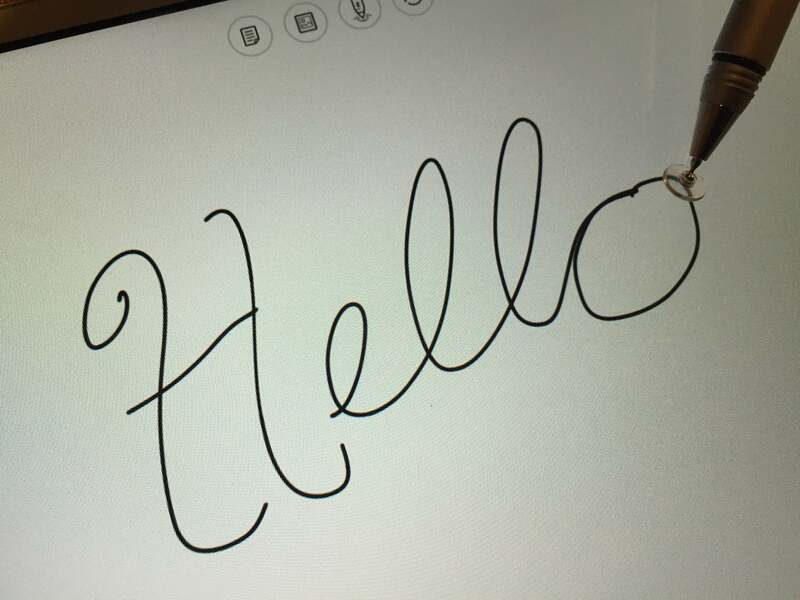 Overall, the Pro and Mini are great choices for someone who wants a pen-like experience on their iPad or iPhone.